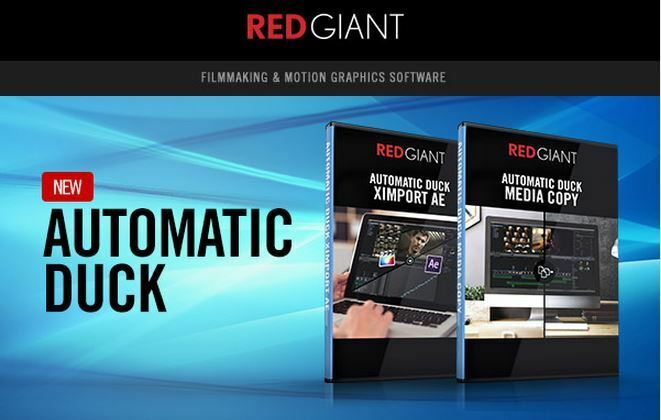 Automatic Duck is excited to announce their return with new and updated products available through Red Giant. Automatic Duck Ximport AE is a brand-new plug-in for Adobe After Effects that imports XML files from Final Cut Pro. Unparalleled translation of FCPX to AE from the company that invented timeline translation. Automatic Duck Media Copy 4.0 has been updated with support for FCPXML from Final Cut Pro X in addition to XML from FCP Classic and AAF files from Avid Media Composer.